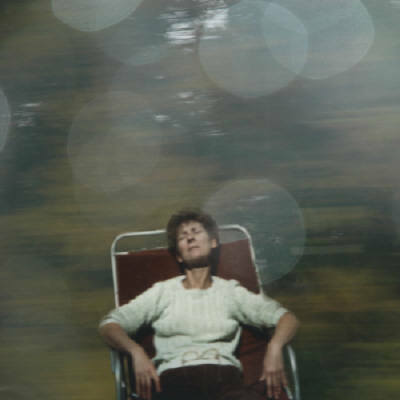 One of my best friends, Nancy Friedland, is a brilliant artist and among the many amazing images she has created is this one showing a woman asleep on a lawnchair. It is not the sleep of someone sun-dozing. It is the Sleep of Oblivion. I happen to know that the woman pictured is Nancy’s mother. I also know that at the time the photograph was taken she had three young children and was studying for a graduate degree in Occupational Therapy, every minute accounted for. There is something subversive about the sight of a woman who is always on call, always in a heightened state of watchfulness and awareness momentarily checking out—zoning into her own internal infinity. We all deserve moments of quiet eternity. There is so much finitude in the lives of the mother artists I know. We are so often counting (time, money, errands, coffee.) We are too often irritable and impatient with our children, counting the hours until bedtime, and this makes us uneasy and sometimes ashamed. I want for every overextended artist in my life long stretches of unclaimed time and solitude, vast space to get bored and lost, waking dreams that take us beyond the calculative surface of things. 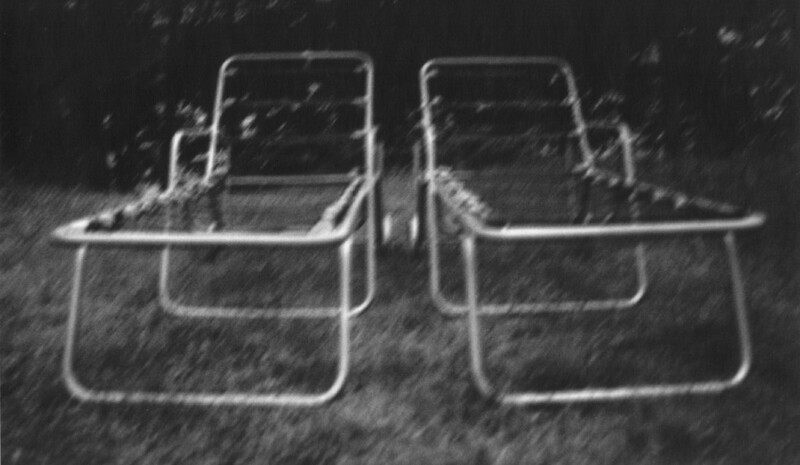 I love these lawnchairs (also by Nancy Friedland.) I look at them and think: here you go. Here is your way back to infinity, back to the woods and that deep creative and contemplative mind. Deep in the sod, in the infinite sub-terre, that’s where work happens.